I don’t know what it is, but I love it. 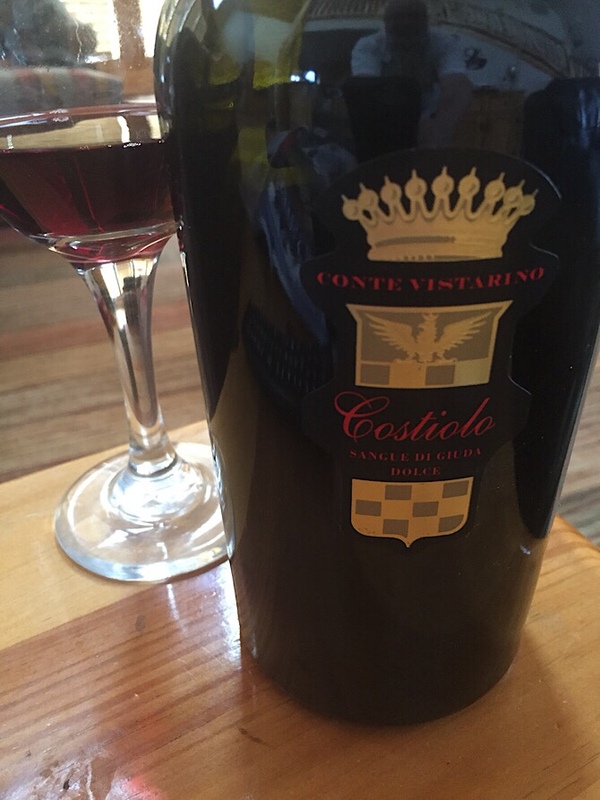 Label says “2015 Conte Vistarino Sangue di Giuda Costiolo”. Google translate can only make out “Sangue di Giuda” to “Blood of Judas.” I’m totally Okay with this form of cannibalism. On a whim I bought three bottles of this wine from The Accidental Wine Company. Accidental Wine started as a clearinghouse for wine with damaged labels, but has grown into a great little online wine shop. They often have unusual finds like this one from Italy. So I bought three bottles many months ago, and they’ve been sitting in the cellar since. Had I known they were this delightful I would have opened them up a long time ago! This wine is nothing like I’ve ever tasted before. Light for an Italian red, with just a *slight* amount of fizz, and a whiff of sweetness. Very low alcohol. Just delightfully different in every way. In fact I went back to TAWC and bought a few more bottles. They only have a few left. Move fast. 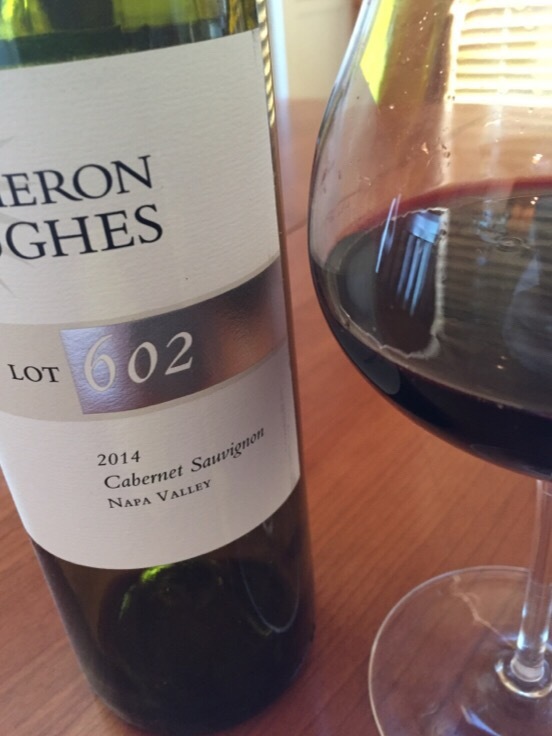 Cameron Hughes Lot 601 2014 Napa Valley Cabernet Sauvignon. 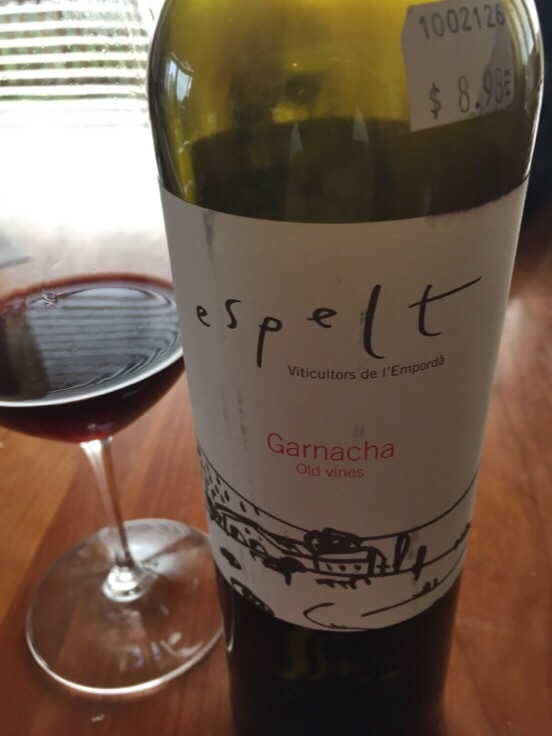 This one weighs in at $32, so trending above were we usually talk about wines here on Vinagoth. But this one is a bargain as without the obfuscation by the Negociant, it would likely be an $80+ wine. 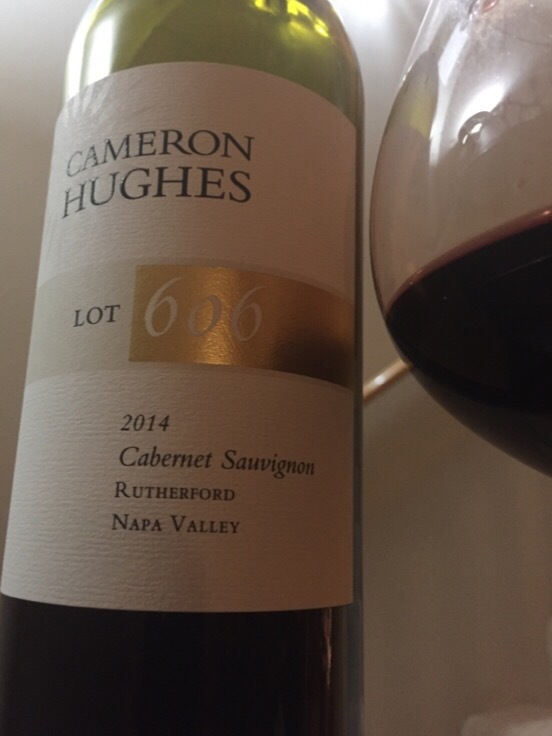 Typical of what Cameron Hughes sources out of Napa, this one is pretty amazing, with a lot of aging potential. Two bottles of this wine arrived in one of my CHWine Club shipments in the past year or two and opened one up earlier this week. It was a tad harsh upon opening, and took quite a while to open up. But once it did? Pretty damn good! In fact this wine lasted several days after being opened (with a simple liquor bottle cork stopped in the opening) and at least three days after opening it was still amazingly good. This is a wine that I was served for “free” on a recent flight on a small, regional airline. The kind that uses propellers on its planes. It was worth exactly what I paid, which says a lot. 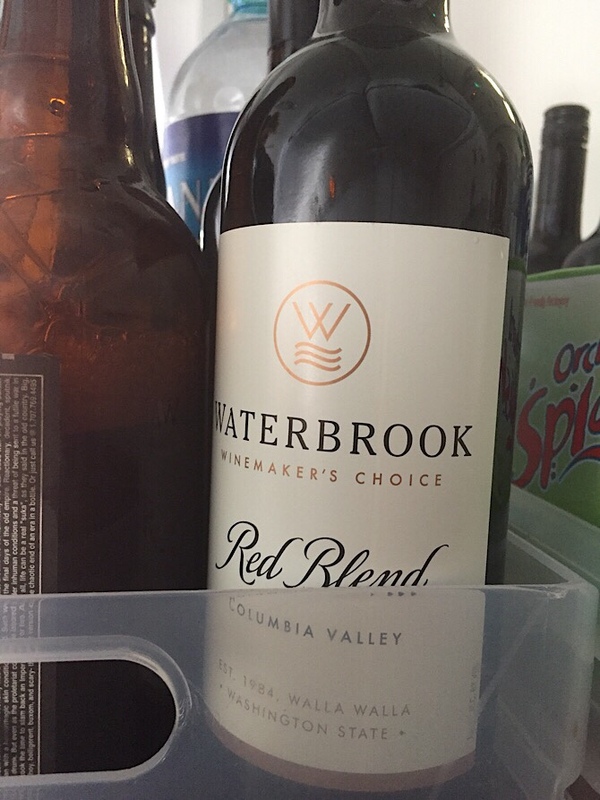 I usually love red blends from Washington state. Perhaps it was the plastic cup? Maybe the droning of the turboprops? Maybe the turbulence? No matter, I could barely finish the cup of wine. Thankfully the flight was short enough that they only made one pass through the cabin with the beverage cart. Not sure if it was stored improperly, or it was a bad bottle, or it is just a really bad wine – but I’m going to avoid this one in the future. Don’t want to lay out Napa money? Try Walla Walla. Napa Valley has redefined Cabernet Sauvignon, and along the way they have also redefined what it costs to enjoy a bottle. It doesn’t seem that long ago that great Cabs could still be found for well under forty bucks, but now unless you buy from a negociant you can’t find a great Napa Cab for under seventy five dollars. Perhaps even one hundred dollars is the new normal for Napa Valley Cabernet Sauvignons. I don’t know about you, but I don’t want to spend that much more than maybe once or twice a year. So where is a Cab Lover to look? Even Paso Robles stuff has gotten expensive! 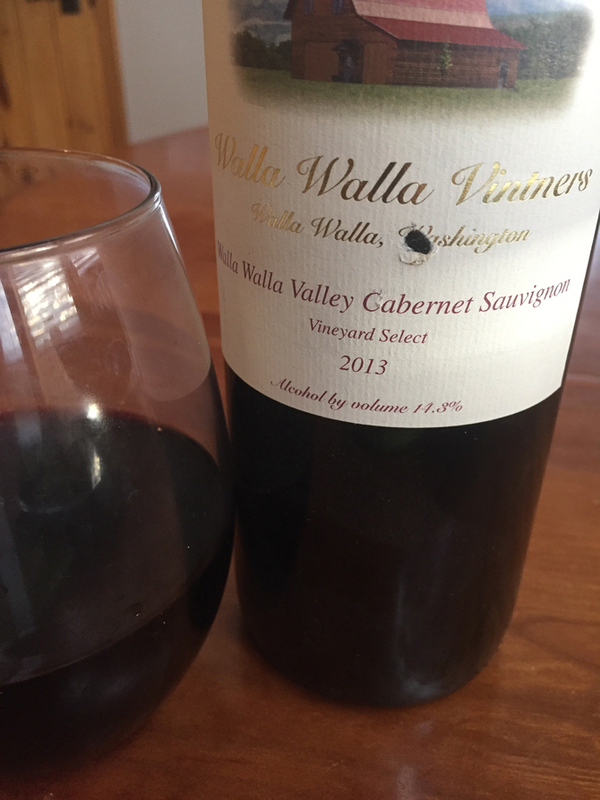 Walla Walla, Washington is your best bet for value Cabernet Sauvignon these days. About ten years ago I stopped in Walla Walla on a trip. It wasn’t a planned stop, but a mechanical issue enforced a delay and to be honest you can’t image a better place to break down. What started as a frustration finished in absolute delight. I sampled quite a bit of the local product and left quite impressed. Since then I have signed up to some wine clubs in the area and regularly enjoy some truly great reds from Walla Walla. Not only Cabernet Sauvignon, but also Cab Francs, Malbecs, Merlots, and even some Petite Verdots, Sangiovese, Syrahs, and most astoundingly Petite Sirah. It honestly would not shock me if a Zinfandel vine or three are growing as we speak in southeast Washington state. One of those wine clubs I joined is from Walla Walla Vintners. 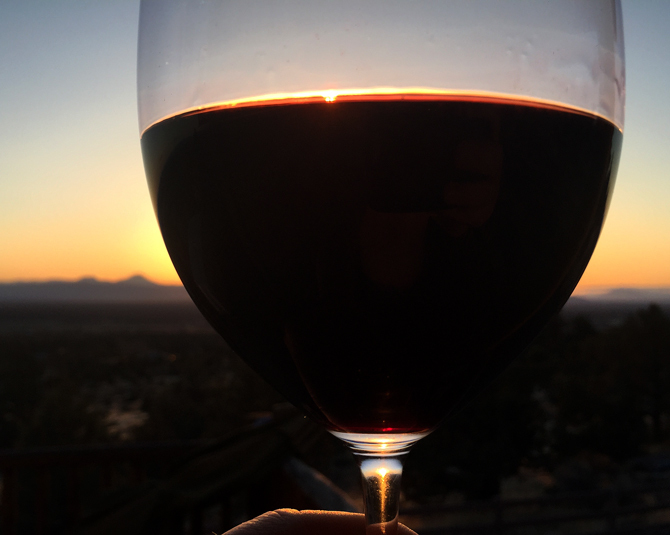 I first tried their Cab Franc which I found at one of my favorite local steakhouses as I preused my usual haunt… the “Interesting Reds” section of their wine list. One bottle and I fell in love, and eventually joined their list. For years now I have been receiving a mixed cases a year of their wonderful wines. Tonight I pulled out a 2013 Cabernet Sauvignon to enjoy with a wonderfully thick prime strip steak from Costco. If you’ve been tasting Napa Cabs for a long time (like I have, starting at my father’s table as a teenager in the late 70s) you’ll know they have evolved over time, from attempts to be like Bordeaux, to today’s enormous “bombs”. Somewhere in the middle they really hit their stride and became… just damn good. Now they’ve sort of gone overboard, espcially in price. While a few Walla Walla Valley winemakers are producing, big, Napa-style cabs, at big, Napa-style price points (such as one that starts with an “L” and ends with an “i”) the guys at Walla Walla Vintners have stuck to their roots and have developed a solid, consistent Cabernet style of their own. I’m happy to say it is absolutely delightful and delicious. Well worth you seeking it out for yourself. This is a Cab you can buy for half the price (and often less) than a Napa, and to be honest it is a far better choice for almost every occasion. I’m planning to go back to the Walla Walla Valley very soon, this time with the sole purpose of enjoying the wine. Grab a bottle or two and come along for the ride with me. Last summer the USA experienced a total solar eclipse, and for those of us who were able to get into the totality it was an amazing experience. I can’t recall where I bought this bottle, but true to form it was on sale and marked down from $30 to $19.98. In my cellar-tracking app I see that it was purchased about a year ago, but no note on where. It’s a prototypical Livermore, California region Petite Sirah; DARK, barely there nose, but big, bold fruit in the mouth, long dry finish. It stains the glass as it sits. I can’t imagine what it is doing to my teeth. I guess if I ever need a sun shade, I just need to pour a big glass and hold it up between me and our nearest star. Eclipse! 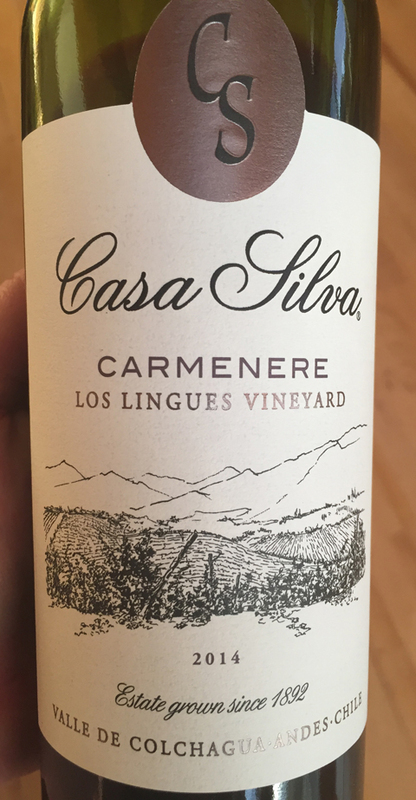 I love Carmenere. It has always been a go-to varietal for me. Consistently yummy. Great food wine. Almost always an exceptional value. For example, this single-vineyard example cost me less that $15. I popped the cork on it as I was rummaging around the kitchen last night making a small dinner for just myself. Warming up some leftover lamb stew, and chopping from veggies for roasting in the oven… I thought, “cooking with wine is better…” so I went to the cellar and grabbed this Carm. I have no recollection of buying it, but thankfully the pricetag remains affixed to the bottle. A strong aroma of black pepper wafted from the bottle as soon as it was uncorked! I’ve had peppery Syrahs before. Plenty of them. I’ve also enjoyed a peppery Cabernet Franc once or twice. But a Carm? Mild pepper, yes. But never this strong. In the glass it was by far the dominant force on the nose. PEPPER!!! Likewise on the palette. Quite unique in my experience. It also had a long, strong, dry finish. Stayed lingering in the mouth long after the liquid was down the gullet. In the summer and autumn months this is usually done out on the deck, but here in winter and spring it is usually too cold for that sort of thing. I have a nice comfy chair setup inside a west-facing window and just plopped down there and savored this glass. Later it paired perfectly with the lamb stew and roast vegetables. By then the peppery notes were fading. 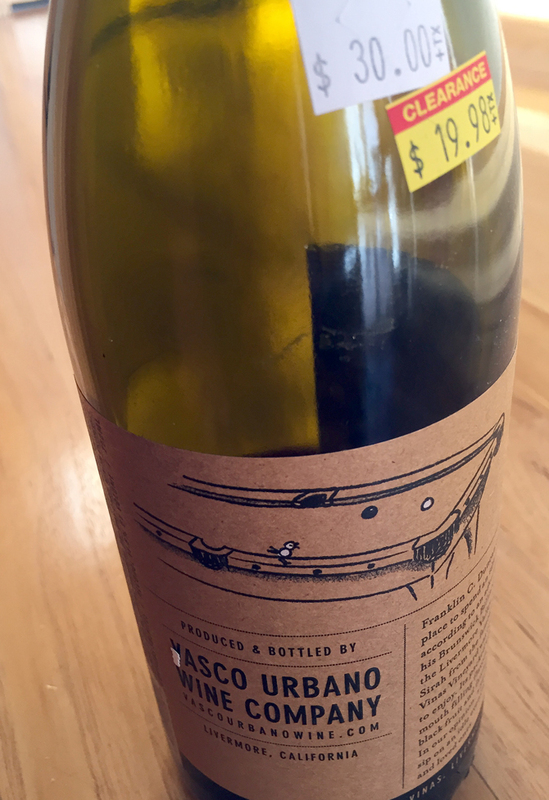 By three hours after being uncorked, the pepper was gone, the fruit was up front, and four hours later I couldn’t even finish the last of my glass… it had faded that swiftly. Short-lived, but lovely. Sure, it’s only October, but I’ve found the best budget wine of the year, hands down. It is still available, and if you’re smart, you’ll go buy some now. It sells for $29/bottle, but I have to tell you, this is a easily a $75 wine. I received two bottle via my usual wine club shipment several months ago. But as per my habit, I put it down in the cellar to let it rest and recover from bottle shock and shipping… and promptly forgot about it. Until two nights ago. It was a pleasant, “indian summer” evening and I decided to eat out on the deck and watch the sun go down. 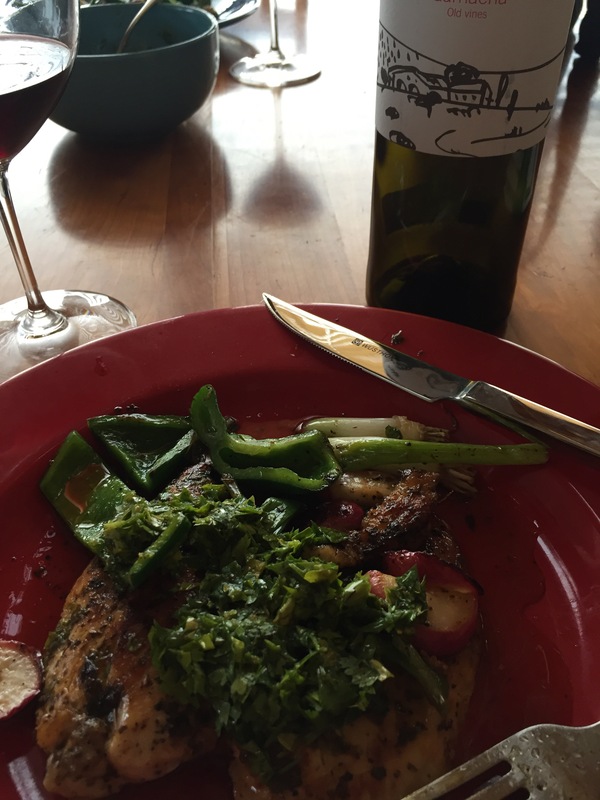 I was eating leftovers from a big dinner with guests… just warmed up some roasted veggies and what was left of a giant pan-seared steak with an amazing reduction sauce I made from a bottle of Cabernet Franc. So the food was leftovers, but I decided to open a fresh bottle of wine. Somehow I knew I had to savor some of that “Rutherford Dust” so I went down to the cellar to search out this specific wine. No, actually this wine is GREAT. No question, the best wine I have drank this year under $100. Even better it is $71 less than $100. After I drank it I went online and ordered a few bottles more. You should too. I’ve often said “Pinots are like Porsches. 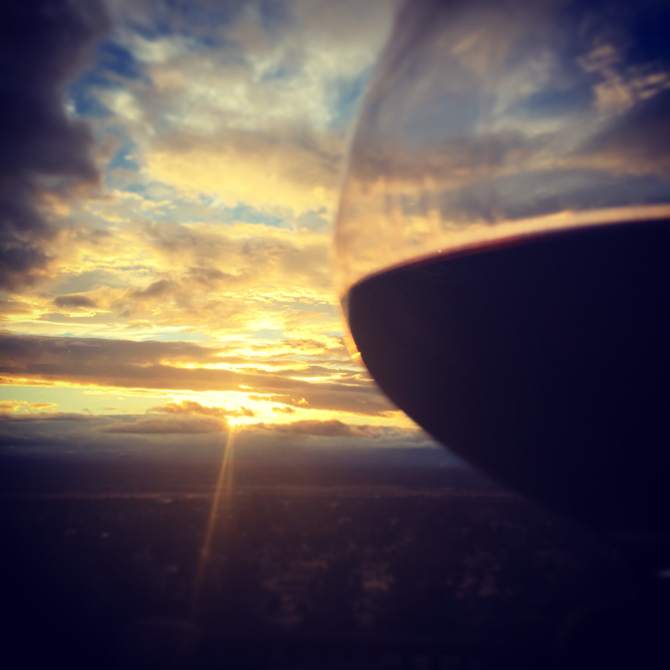 Good ones are expensive, and bad ones are also expensive.” A truly great Pinot Noir is a treasure, but they are elusive, and usually expensive. In my experience “cheap” Pinot Noirs are often terrible. As the years roll by, I’ve pretty much given up on trying to buy Pinots. I’m supplied with a regular amount of passable Pinots from my Cameron Hughes wine club, which satisfies the cravings of “Testa Rossa” my red-headed Pinot-loving dining companion, and nothing goes better with a grilled/planked salmon that a light Pinot on a summer’s evening. Beyond those offerings from Mr. Hughes, I have snagged a dozen or so great Oregon Pinot Noirs from some winery tours we have had the pleasure of doing on some long weekends in the Willamette Valley. Testa Rossa is from that part of the world and both of us have kids that have gone all hipster and live in Portland. Visiting the grown-up kids makes for a nice grown-up excuse to tour some wineries. Oregon has some amazing Pinot producers, all within a very short drive of Portland. None of their products fall within the scope of this blog however. The bottles I’ve bought on these tours range in price from $40, to well over $100. Are they great? Certaily. But not cheap. It is damn near impossible to find a great value Pinot Noir from Oregon. 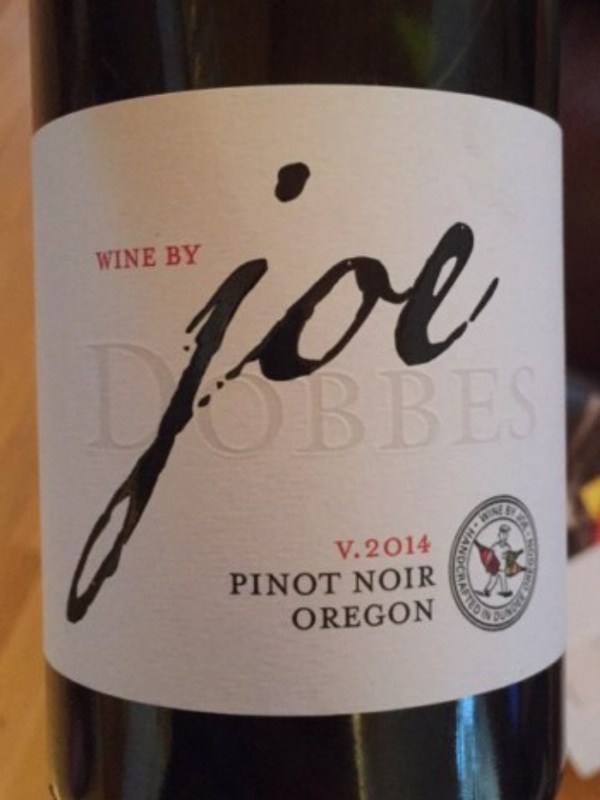 So if you’re looking to find a damn good cheap Pinot, go to Joe. Damn good wine for under $9! I grabbed this wine a little less than a year ago from Wine Exchange. The price was $8.98, which is an incredible bargain for what this bottle represents. It isn’t available there anymore, but I highly recommend their mailing list, as it can be a bargain hunter’s dream. Testa Rossa and I are avoiding culinary ruts by buying those internet delivery meal things. In this case Sun Basket. I was that kid who ate the same thing everyday growing up… for me it was PB&J. You see I’m perfectly happy to eat the same thing over and over, provided it is something I like. As an adult, it isn’t peanut butter and jelly sandwiches anymore, but something like chicken breast and sautéed green veggies is certainly something I could sit down to every night of the week, so long as I swapped in a steak now and then. Sure, I love gourmet food, but don’t really feel like making it often. As a bachelor, I lived like this for years. When I pulled the cork and tasted it, the overwhelming sensation was “puckery” like a northern Italian Nebbiolo. Super-tight. After decanting for a bit it softened and really opened up quite well. Paired wonderfully with the chicken. Testa Rossa describes it as “tangy”. Very oaky nose. Peppery mouth feel and a long finish. Here’s a wine for under nine bucks that drinks as good or better than many forty dollar bottles. I think the first contemporary vintages of Napa Valley cabernets I ever tasted were from the late 70s, likely 1978/79. I was just a wee barbarian, drinking at the table of my father, whose wine exploits and palette I aspire to experience. California was really starting to get on-track with the development of their own style of winemaking. The Prohibition era has devastated a vital industry and destroyed its history and legacy… and it wasn’t until the early seventies that they began to recover, and get going again. I often say that it has taken our society a century to recover from Prohibition… the greatest folly of our country. It is really just now that we have fully recovered, in terms of the beverage industry – wines, beer, and distilling. But it was the wine business that started this recovery, and the epicenter of that recovery was Napa Valley. I can recall tasting the output of such foundation Napa Cab producers such as Robert Mondavi, Beaulieu Vineyards, and Heitz. The industry has changed so much, with hudreds of producers, and prices to match… yet the product has become iconic. Napa Valley Cabernet Sauvignon. What it means to me is big, powerful, yet supple and ready-to-drink… TONIGHT. Unlike the Crand Cru Bordeaux it tried to mimic back then, which must age for years, perhaps decades before it becomes drinkable, today’s Napa Cab delivers that supple experience of an aged Bordeaux upon release. They still benefit from aging well, but generally they are also good to go, right when you buy them. 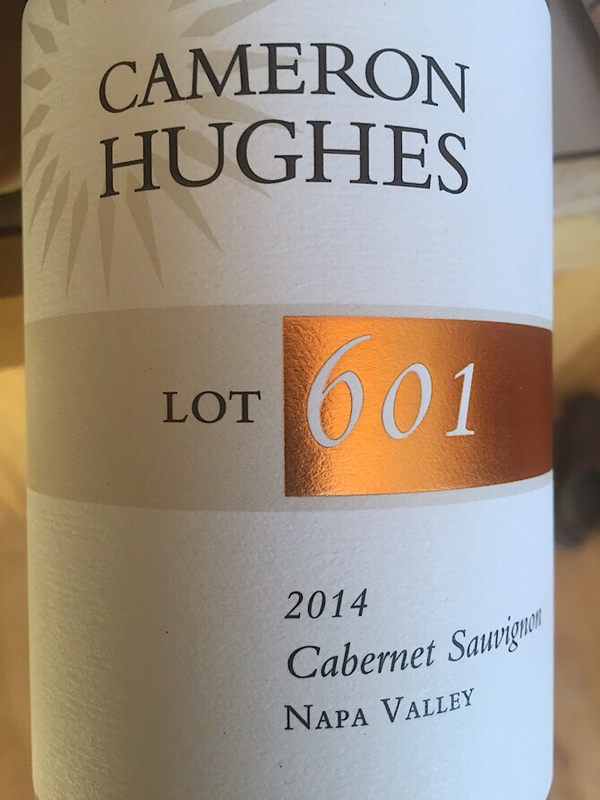 This example, the 2014 Napa Valley Cabernet Sauvignon Lot 602 from Cameron Hughes is exactly that. You can buy this RIGHT NOW (click that link!) for $32/bottle and enjoy an amazing Napa Cab. THIRTY TWO BUCKS. Sure, it isn’t ultra-cheap, but I tell you, if this wasn’t being sold by a Negociant, it would likely be well over $100/bottle. It is THAT good – NOW. Grab some of these, throw some steaks on the grill, and pull the cork.